Good corporate governance creates and sustains an ethical and legal environment which recognises the interests of all stakeholders in a Corporation. The Board of Port Authority is responsible for overall corporate governance of the Corporation and has adopted corporate governance practices and procedures that are appropriate to manage Port Authority in the best interests of the Voting Shareholders and other stakeholders. 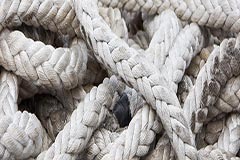 Port Authority complies with each of the recommendations in the NSW Treasury Guidelines for Governing Boards of Government Businesses and this corporate governance section outlines Port Authority of New South Wales’ governance practices. reviewing any reporting to Voting Shareholders. The Chief Executive Officer is responsible for the day to day management of the operation of Port Authority of New South Wales in accordance with the general policies and specific directions of the Board. It is the responsibility of the Board to oversee the activities of management in carrying out these delegated duties. The Board’s role and responsibilities to each key stakeholder are set out in the Port Authority of New South Wales’ Board Charter. 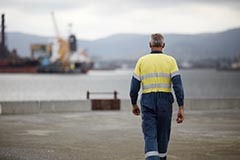 Port Authority of New South Wales’ Code of Conduct outlines the general business ethics and acceptable standards of professional behaviour we expect of all our Directors, employees and contractors. The Code of Conduct, which is given to all new staff as part of their induction, makes everyone at Port Authority of New South Wales accountable for their own decisions and conduct. The Code of Conduct covers general behaviour expectations, fraud and corruption responsibilities, including policies on acceptance of gifts, benefits, ethics and conflicts of interest requirements. Employees are encouraged to report any suspected breaches and, if they do so, will be protected as detailed in Port Authority of New South Wales’ Protected Disclosures Policy. The Code is available to all staff on the Port Authority of New South Wales intranet. The Code also interacts with other more detailed policies including the Fraud and Corruption Policy, Disciplinary Policy and Internal Reporting Policy. Any significant breaches must be immediately reported to the CEO. Each Committee has a clear Charter setting out the Committee’s roles, responsibilities and delegated authority from the Board. The Charter of the Board and all Board Committee Charters are reviewed on a regular basis and updated to remain relevant to the Corporation. The Chairman of the Audit and Risk Committee is Matthew Irwin. Matthew is an independent non-executive Director. Other members of the Committee are Penny Bingham-Hall, Zorana Bull and Robert Dunn, who are each independent, non-executive Directors. Each member of the Committee is financially literate and has knowledge of the business. Matthew Irwin and Robert Dunn have qualifications and experience in accounting. The Board considers the mix of skills and experience on the Audit and Risk Committee appropriate to meet the responsibilities of its charter. external auditor’s audits, management letter and management’s responses. Please refer to the Audit and Risk Committee Charter. The Chairman of the Remuneration and Human Resources Committee is Penny Bingham-Hall. Penny is an independent non-executive Director, who is not the Chairman of the Board. Other members of the Committee are Robert Dunn, Gerard Sutton and Zorana Bull, who are each independent, non-executive Directors. oversight of human resource management including succession planning, diversity, talent development and staff engagement. Please refer to the Remuneration and Human Resources Committee Charter. The Chairman of the Nominations Committee is Robert Dunn. Robert is an independent non-executive Director. The other members of the Committee are Penny Bingham-Hall, Zorana Bull, Matthew Irwin and Gerard Sutton who are also independent non-executive Directors. The Committee meets on an as-required basis and is responsible for assisting the Port Authority Board in fulfilling its corporate governance responsibilities with regard to Board composition. This includes assessing the necessary and desirable skills and experience of Directors, ensuring Directors have the appropriate mix of competencies, identifying skills and experience to fill those gaps and overseeing induction and continuing education of Directors. Please refer to the Nominations Committee Charter. Under the State Owned Corporations Act (NSW) 1989 the Port Authority Board is required to have a minimum of three and a maximum of seven Directors. The Voting Shareholders appoint the Chairman, who is currently Robert Dunn. Robert is an independent Director and his role is clearly separated from the role of the Chief Executive Officer, Grant Gilfillan. Robert was appointed as Chairman of the Port Authority Board effective 1 July 2018. He was previously a Director of the Port Authority and was a Director of Sydney Ports Corporation and Port Kembla Port Corporation, prior to their amalgamation on 1 July 2014 to form Port Authority of New South Wales. The Chairman is responsible for leading the Board and facilitating its effective functioning. 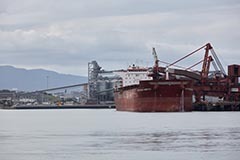 Grant Gilfillan was appointed as Chief Executive Officer of the Port Authority effective 1 July 2014 and was reappointed in September 2016 for a new term to 30 September 2019. He was previously Chief Executive Officer of Newcastle Port Corporation and Sydney Ports Corporation, prior to the formation of the Port Authority of New South Wales on 1 July 2014. As set out in the State Owned Corporations Act (NSW) 1989, the Chief Executive Officer was appointed by the Governor on the recommendation of the Portfolio Minister, following a recommendation from the Board. The Chief Executive Officer is responsible for the day to day management of the operation of Port Authority in accordance with the general policies and specific directions of the Board. Grant Gilfillan was separately appointed as a Director of the Port Authority Board effective 21 July 2014 and reappointed in November 2016 for a new term to 1 November 2019.
has been a director of the entity for such a period (10 years or greater) that his or her independence may have been compromised. * Material means greater than 5% of the Corporation’s gross revenues. The independence of each Director is reviewed on an annual basis to ensure circumstances that may affect the independent status of a Director have not changed. Grant Gilfillan, as both a Director and the Chief Executive Officer, is not considered independent. All other Directors are considered independent. Each Director has the right of access to all Port Authority of New South Wales’ information and employees. Further, the Board and each individual Director, subject to informing the Chairman, has the right to seek independent professional advice from a suitably qualified advisor, at Port Authority’s expense, to assist them to carry out their responsibilities. Where appropriate, a copy of this advice is to be made available to all other members of the Board. 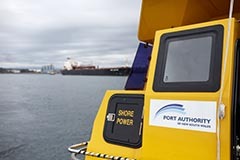 Port Authority maintains a conflicts register which registers any interests of Directors which may potentially conflict with their duties as a Director of Port Authority, including other board positions. Directors are required to update this register on an ongoing basis as circumstances change. In relation to specific Board decisions, the Board complies with Clause 2, Schedule 10 of the State Owned Corporations Act (NSW) 1989. A Director cannot take part in discussions or vote on a matter in which that Director has a material personal interest, unless the Board resolves that the interest does not disqualify the Director. There have been no related-party transactions between Port Authority and any Director during the year. The Board of Directors of Port Authority of New South Wales meets at least nine times a year and more regularly as circumstances require. The Company Secretary is responsible for providing administrative and corporate governance support to the Board of Directors. This includes ensuring that the Board receives papers for Board and Committee meetings in advance of each meeting and attendance at Board and Committee meetings to take minutes. The Company Secretary is appointed and removed by resolution of the Board. Regina Abood (B Com, FGIA) is the Company Secretary of Port Authority of New South Wales. Statement of Corporate Intent and Business Plan. New Directors are also provided with a Deed of Access and Indemnity in the form approved by NSW Treasury. All other Directors are encouraged to continue their education, with practical director skills courses, site visits and briefings on issues relevant to Port Authority’s operations. In addition, Port Authority funds Directors’ attendance at specific courses or conferences where appropriate. The remuneration for Directors of Port Authority is determined by the Voting Shareholders. The Board believes it is important to evaluate its own performance and that of each Director on a regular basis. A preferred methodology was agreed by the Board in July 2015, with reviews undertaken on an annual basis.